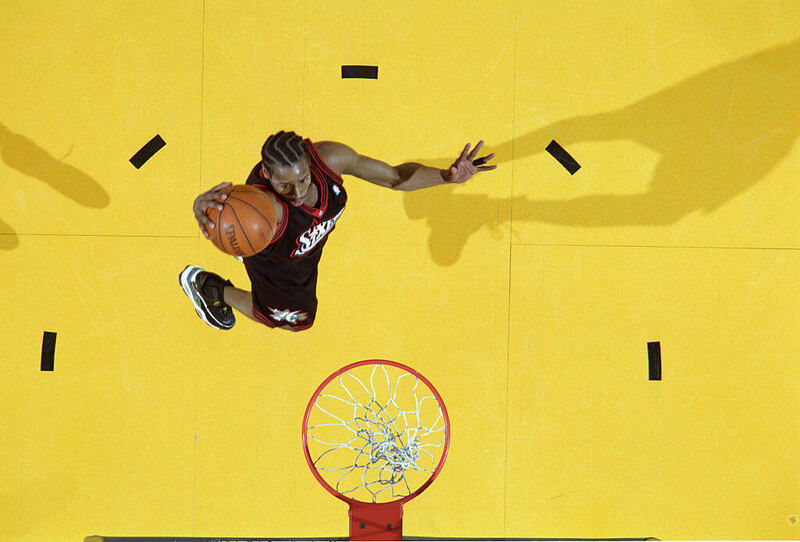 Allen Iverson had one of the most entertaining and glorified NBA careers of all time. For 14 seasons he was one of the most fascinating characters on and off the court. He retired as an 11-time all-star and one-time league MVP (2001). Behind the scenes Iverson was a tornado, living a wild and lavish lifestyle that could have easily ended his career early. When he divorced his wife in 2011, he thought he had reached a new low. Then Tawanna Iverson dropped the bombshell of all bombshells on him, and he never saw it coming. Keep reading to find out what his wife did! When Allen Iverson was 17 years old, he and three friends were at a bowling alley when all heck broke loose. The story goes Iverson and his friends were asked to quiet down several times. They didn’t, and a fight followed. Iverson was arrested for the incident and charged with “maiming by mob.” He was tried as an adult. The judge sentenced the young man to 15 years in prison for his participation in the bowling alley brawl. As luck would have it, Iverson’s prison sentence ended four months after it started. The governor of Virginia, Douglas Wilder, granted the 17-year-old clemency. Shortly after his release, his conviction was overturned by a court of appeals. The court cited a lack of sufficient evidence from the original conviction. Still, Iverson’s time in prison cost him his senior year of high school with his friends. 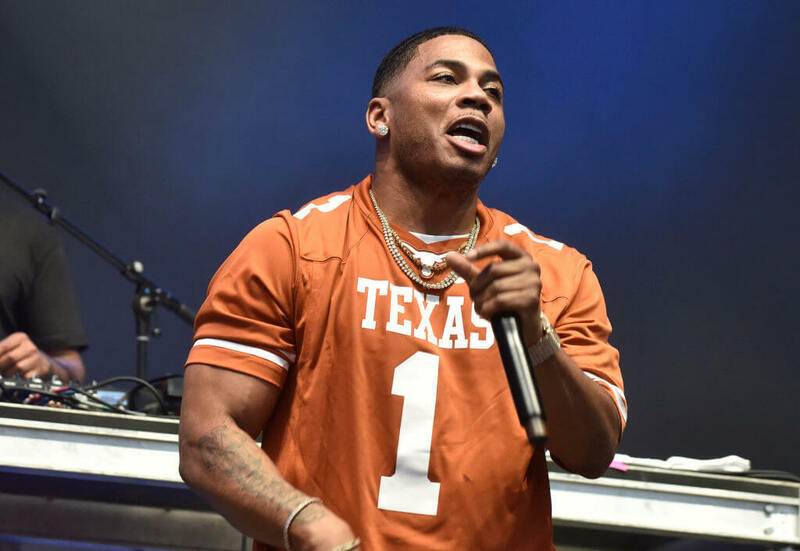 He was forced to finish up his final year at a high school for troubled youth. On the next slide find out just how prolific his high school career was. Before Iverson was arrested and sent to Richard Milburn High School, he attended Bethel High School. There, he was a star athlete, using his athleticism to master football and basketball. His junior year was his peak. 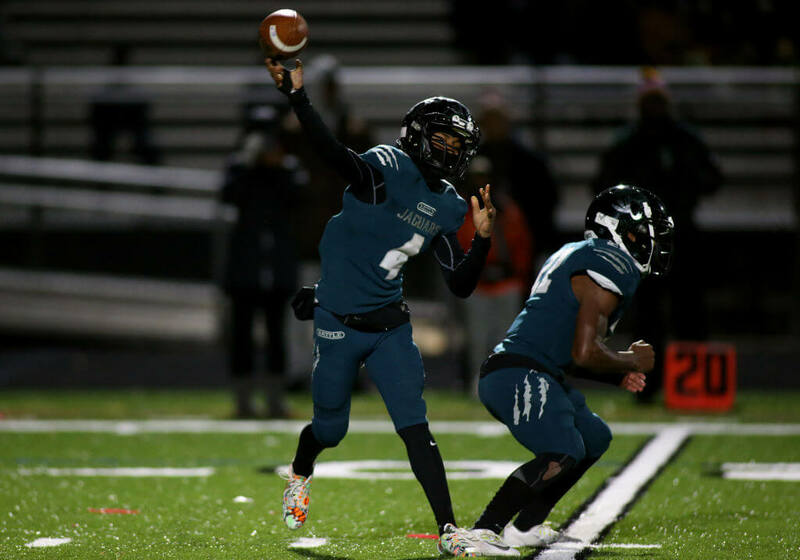 He led both his football and basketball teams to the Virginia State Championships. The Associated Press was so impressed with Iverson that he was named the High School Player of the Year for both sports! The achievement was truly incredible and showed the potential he had. With any troubled youth, people who knew Iverson were quick to find possible reasons for his behavior. The most prominent theory is that growing up without a dad had a devastating impact on the young man. On top of his father leaving before he was born, his mother was just 15 years old at the time. Because of this, Ann gave her son her maiden name instead of his absentee father’s last name. Growing up wasn’t easy for Allen, and his immature antics off the court might be a reflection of that. Up next, find out who was responsible for giving Iverson a shot at college ball! After his junior year accomplishments, universities across the country were knocking down Iverson’s door to offer him scholarships. When he was arrested, all the attention suddenly stopped and Allen’s career looked dead in the water. Desperate to save her son’s dream, Ann Iverson showed up at Georgetown and begged the school’s basketball coach to take a chance on him. The coach, John Thompson, was impressed and after doing some research on Allen, offered him a full ride scholarship to play basketball for him. 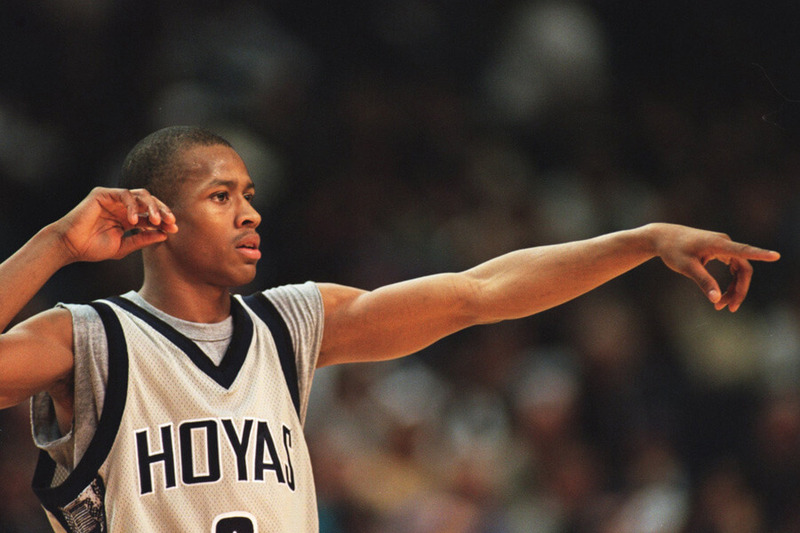 His first year at Georgetown, Allen Iverson led the team to the Sweet Sixteen bracket of March Madness. They lost, but he was named the Big East Rookie of the Year. 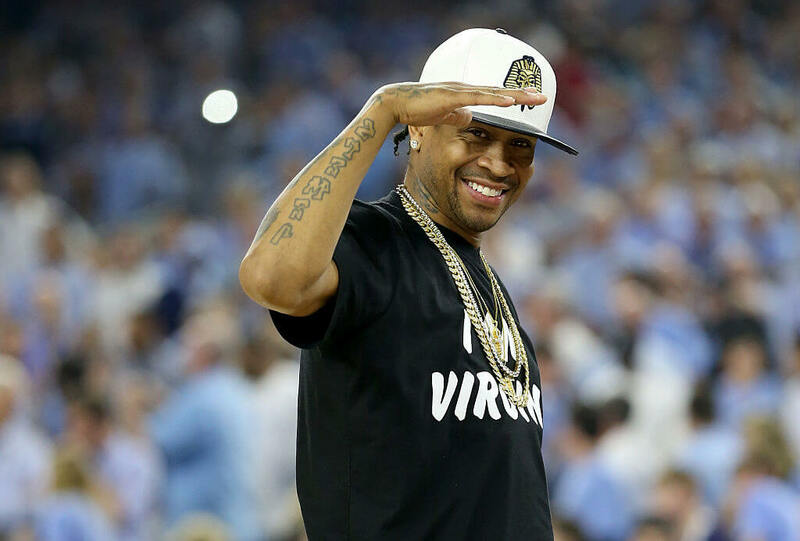 The next season Iverson lifted Georgetown to the Elite Eight round of the tournament. 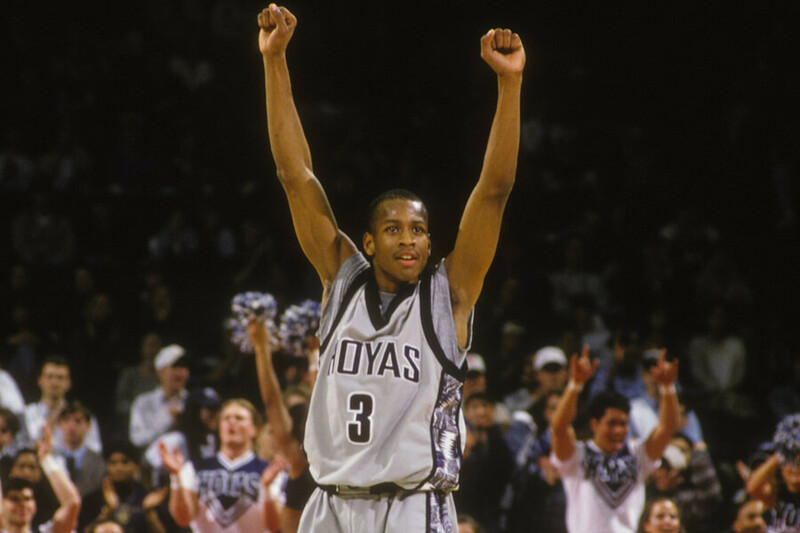 That was as far as Georgetown would get, and that was all Iverson had to give them. After the end of his sophomore year the college star declared for the NBA Draft. 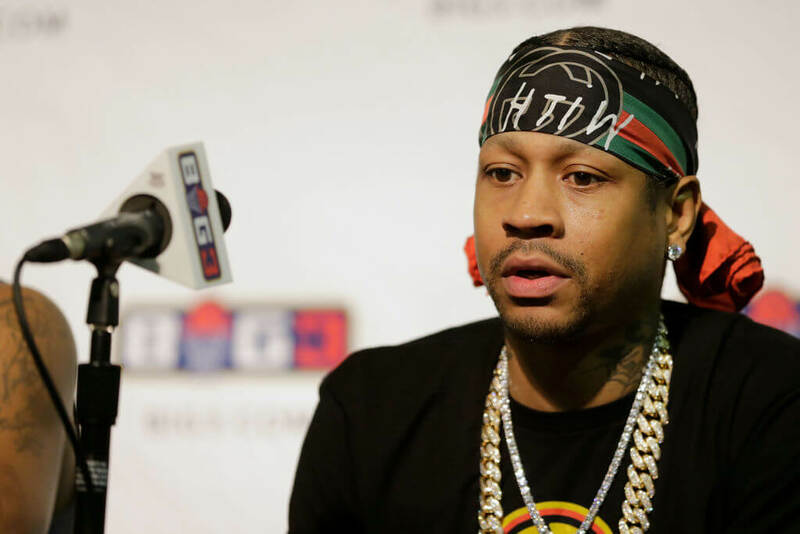 A character concern coming out of high school, Iverson appeared to clean up his image at Georgetown. The Philadelphia 76ers were so impressed with him they drafted him with the first overall pick in 1996. For perspective, that same draft saw Kobe Bryant taken 13th overall and Ray Allen taken fifth overall. His rookie year in Philly was a smashing success. 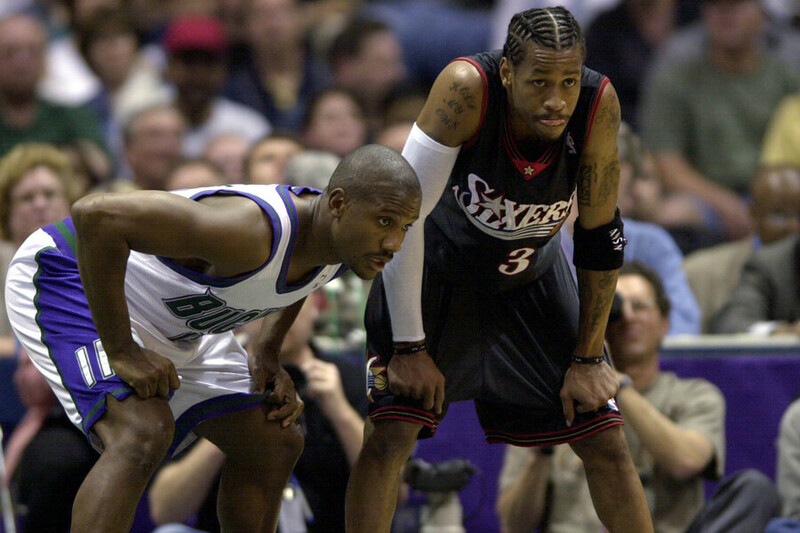 Iverson averaged 23.5 points per game and was named the Rookie of the Year. Still ahead, learn what Iverson did to find himself in hot water again! Everything was finally looking up for Allen Iverson. His rookie year in the NBA was one of the best ever. Sitting on top of the world, Iverson didn’t see this next blow coming. During the offseason he was pulled over for speeding. Police found drugs and weapons in his car during the traffic stop and he was arrested. Luckily, the star was only given 100 hours of community service along with probation. This new incident was only a hint of things to come. Despite his off-court behavior, Philadelphia signed Allen Iverson to a six-year, $70 million contract extension after his third season. The offer came after he won his first of four career scoring titles. 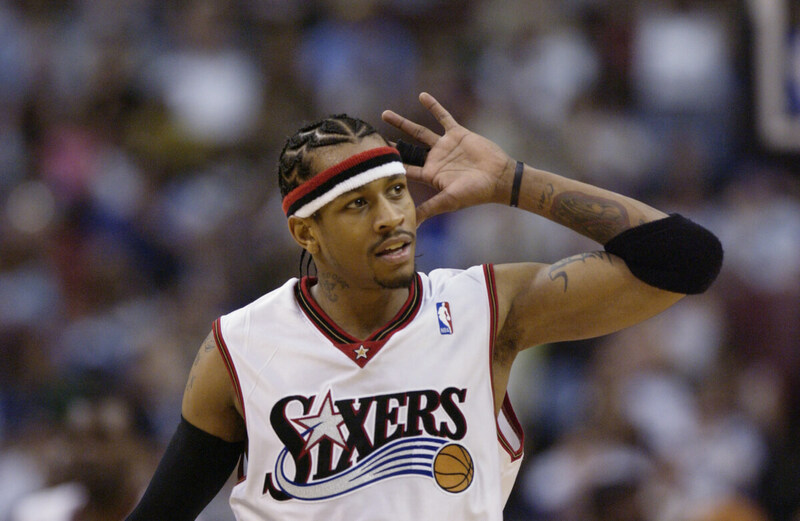 In 2001, Iverson was named the league’s Most Valuable Player. His team reached the NBA Finals but lost to Kobe Bryant and the Lakers. On top off all his success, Reebok signed Iverson to a lifetime shoe deal that guaranteed him $800,000 a year for the rest of his life. With his first contract extension coming to a close in 2003, Philadelphia again backed up the Brinks truck to keep their star. 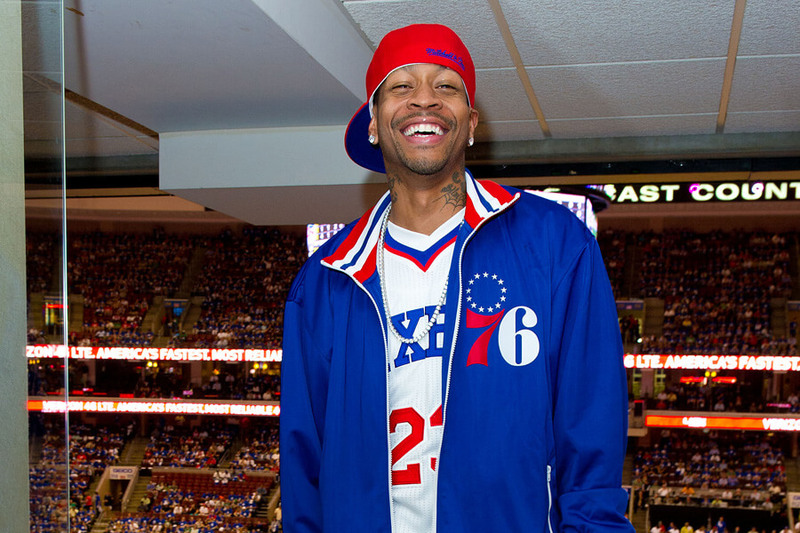 Iverson signed shiny new six-year, $76 million contract. 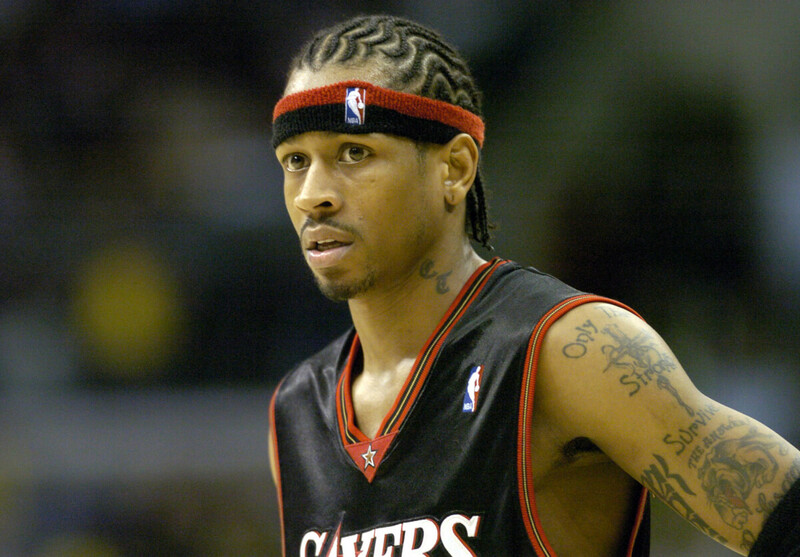 Including his rookie contract, Iverson had earned over $150 million. When you include his deal with Reebok in his total earning, Iverson was well over $200 million by the end of his NBA career. Of course, living his life as fast as he did, who knows how much of it he ended up spending. You’ll find out the answer to that question on the next slide! 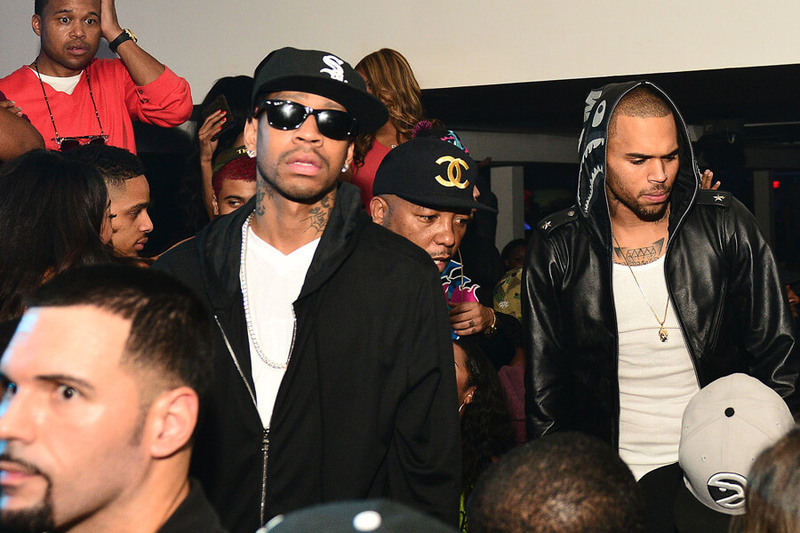 Like we said, Allen Iverson lived a fast life. Almost as quickly as his bank account rose to over $200 million it fell back down to zero. He was addicted to drinking and gambling; two very expensive habits. Iverson’s behavior and spending were so unhinged that he held outstanding debts at several casinos. Other establishments across the United States banned the NBA star for his reckless and drunken behavior. 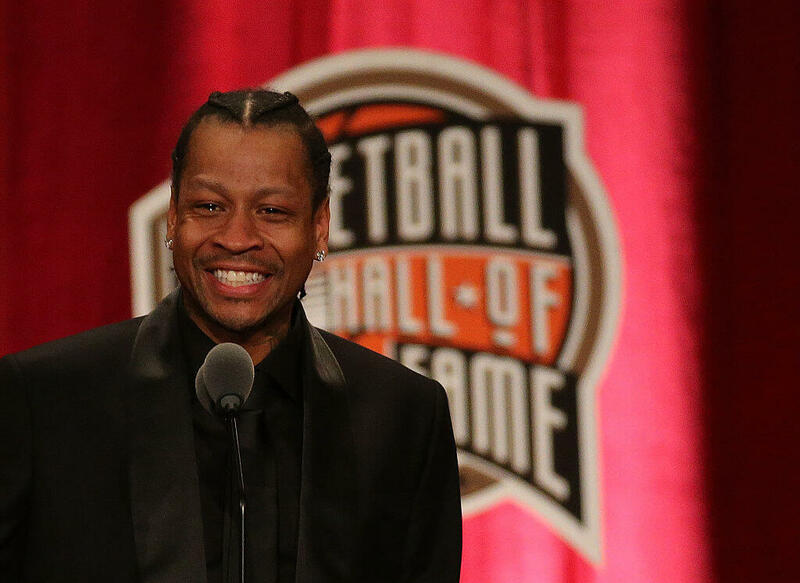 It’s not easy going broke with hundreds of millions of dollars, but Iverson found a way. 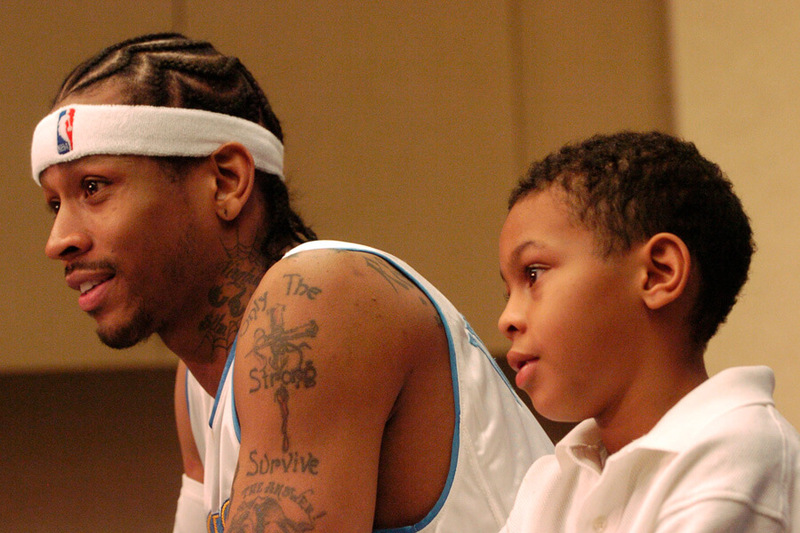 Growing up without a father ensured Iverson would be a part of his kid’s lives. He married Tawanna Turner in 2001. The couple already had two kids. After getting married, they had three more. 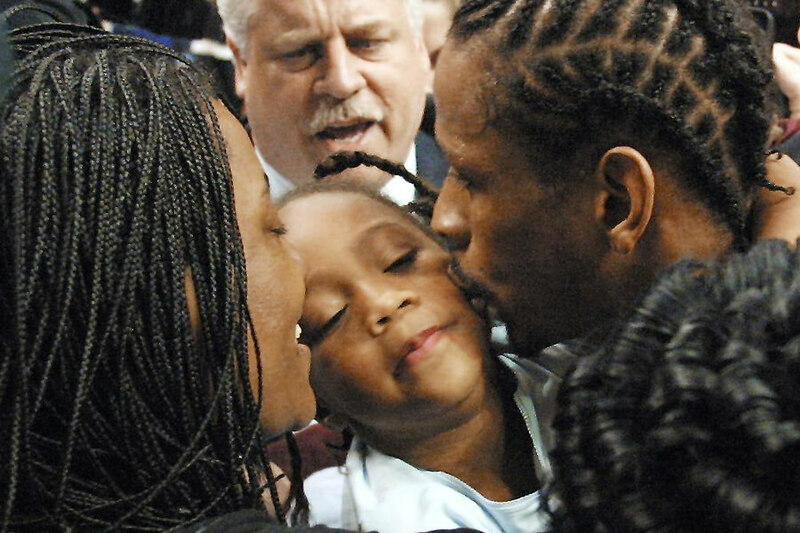 Being a family man wasn’t easy for Iverson. 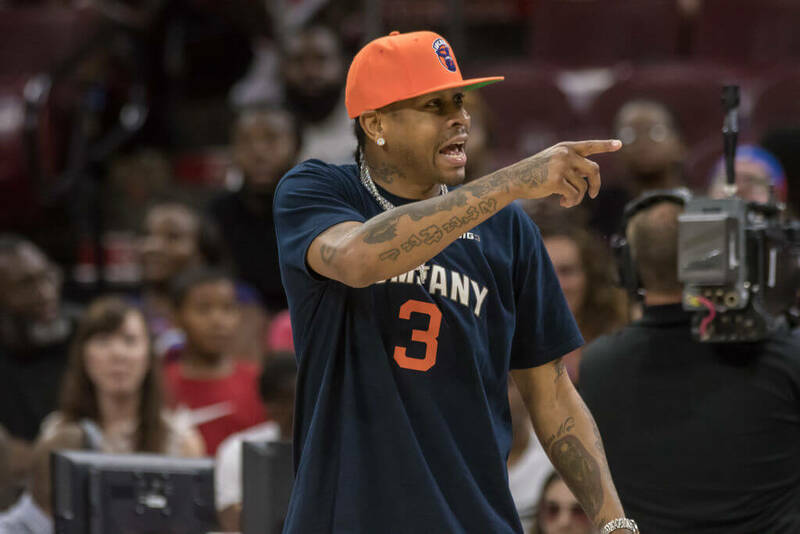 One year into his marriage the couple got into a domestic dispute and Iverson kicked Tawanna out. Did we mention she wasn’t wearing clothes at the time? Years later in divorce court, Tawanna would drop a bomb that would return the favor. Already low on money, Iverson overdrew his bank account by $23,000 dollars one day. What was so important that he needed the money? 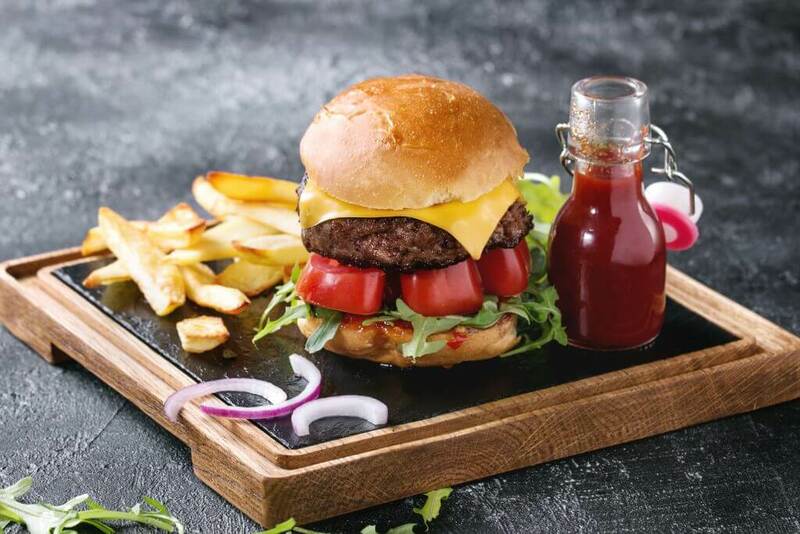 He spent a total of $23,255 visiting a jewelry store, a hotel, and a steakhouse. Seriously? Even worse, Tawanna then had to sell her own belongings to pay for their kid’s school tuitions and rent. One of the pieces she sold was an 8.47 carat diamond ring. Tawanna was fed up and and made a decision that was a long time coming. In 2012, Tawanna Iverson and Allen Iverson were in the middle of a divorce proceeding when things got heated. Iverson yelled, “I don’t even have money for a cheeseburger!” Tawanna pulled $61 out of her wallet and handed it to him. What followed was a full disclosure of Iverson’s finances. He claimed he was earning $72,000 a month. His expenses tripled that amount at $360,000 a month. Things looked really bad, but somehow Reebok expected this to happen. Find out how Reebok saved the day next! 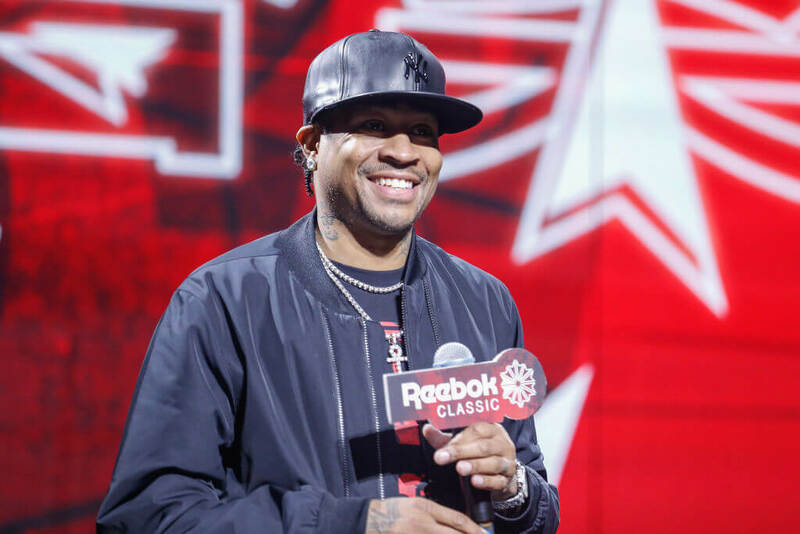 As part of his lifetime deal with Reebok, Iverson agreed to take more than just $800,000 a year. The company set aside a trust fund to pay him $32 million when he turned 55. The smart move wound up saving Iverson’s bacon! 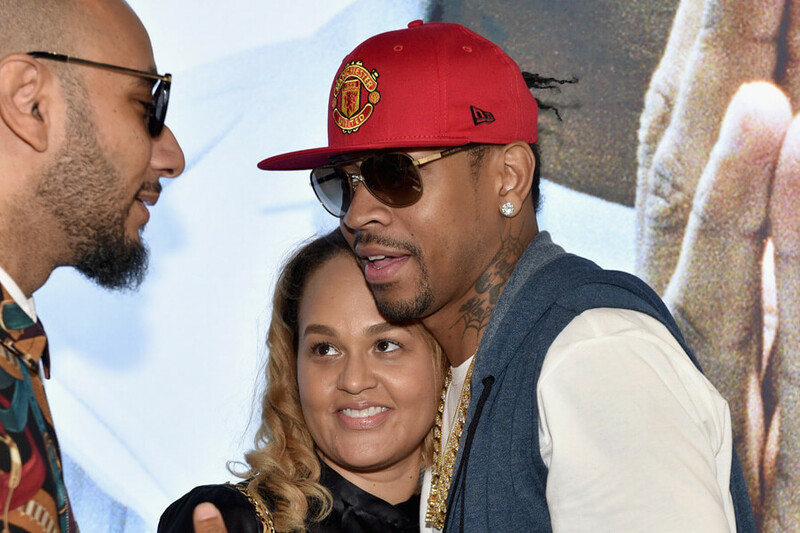 Iverson’s financial future was no longer in question, but he still had a troubled marriage with his wife. In a last ditch effort to save his marriage, the star did something drastic with his newly filled bank account. Can you guess what he did? 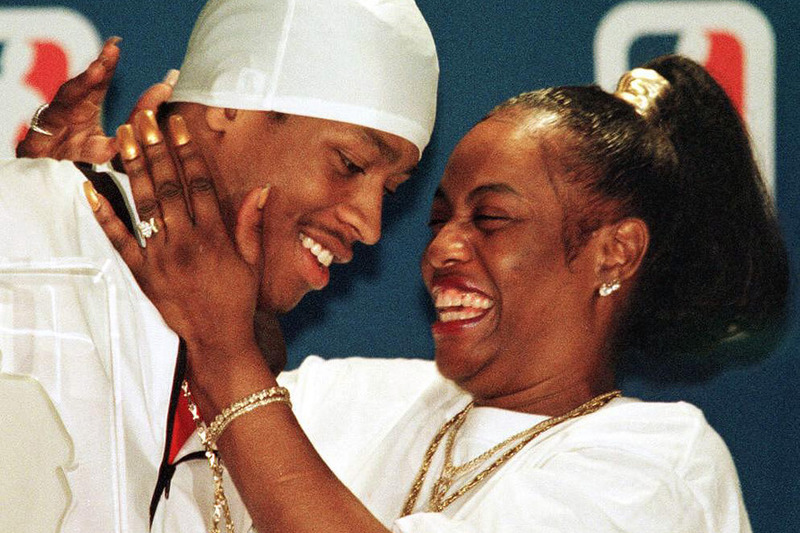 Allen Iverson took his $32 million from Reebok and put it all on the line to save his marriage. He signed a post-nuptial agreement that stated if he violated any of its stipulations, he would forfeit every penny to Tawanna. So what exactly were the stipulations? Iverson wasn’t allowed to abuse Tawanna physically or verbally, he needed to go to therapy for his addictions, he needed to attend marriage counseling, and he couldn’t cheat. Sounds easy to us. 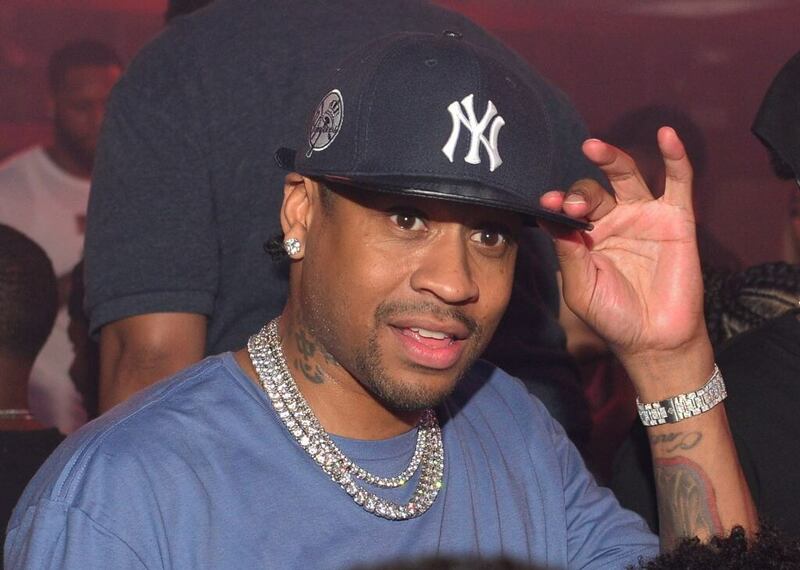 Allen Iverson didn’t just break one of his post-nuptial stipulations. That would have been too easy. Instead, he took the hard route and broke them all. Tawanna filed for divorce in 2013 and was awarded all the money. Iverson’s story doesn’t end here, though. He wasn’t the brightest youth in the world, but as luck would have it he did do one thing as a young man that would would help make everything okay again. Let’s go back to high school. Allen Iverson fell in love with a woman there. Her name? Tawanna Turner. Iverson would go on to marry Turner and have five children with her. 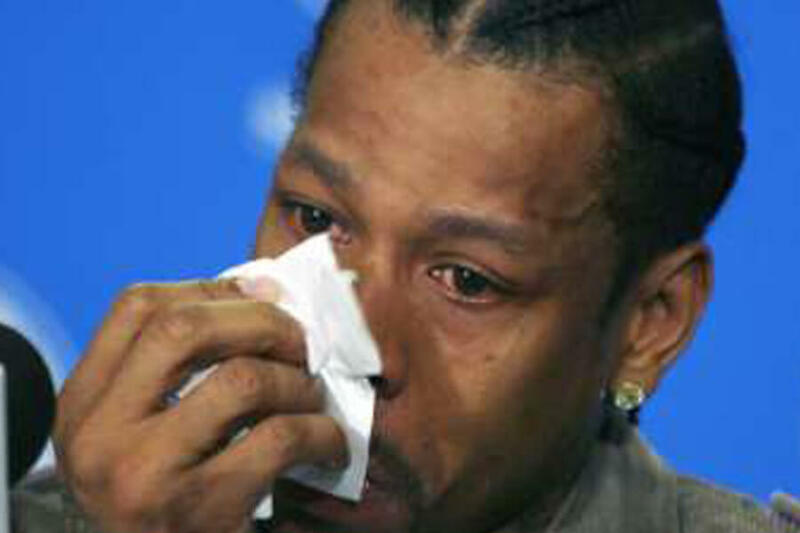 When Iverson broke the stipulations, Tawanna took the money, but not all of it. Out of the kindness of her heart, and probably the love she still had for Allen, she allowed him to keep half. These days, Iverson seems to be happier than he’s ever been. 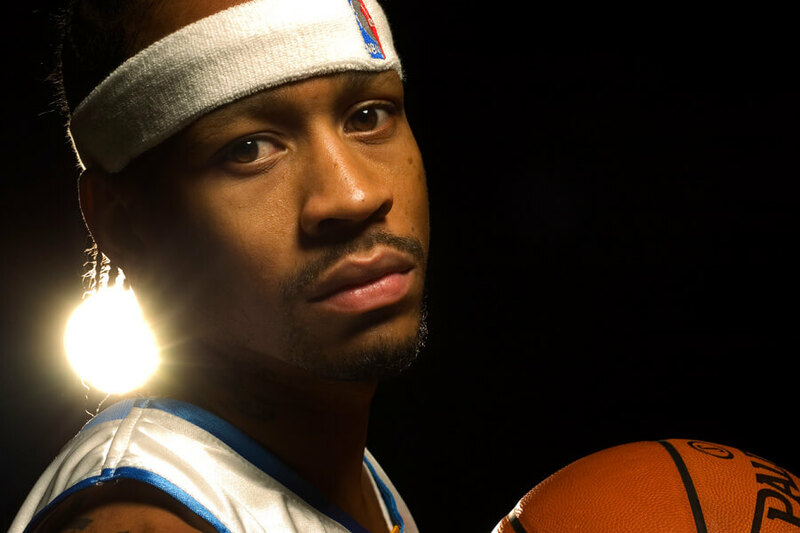 Keep reading to learn more about the life and career of Allen Iverson! 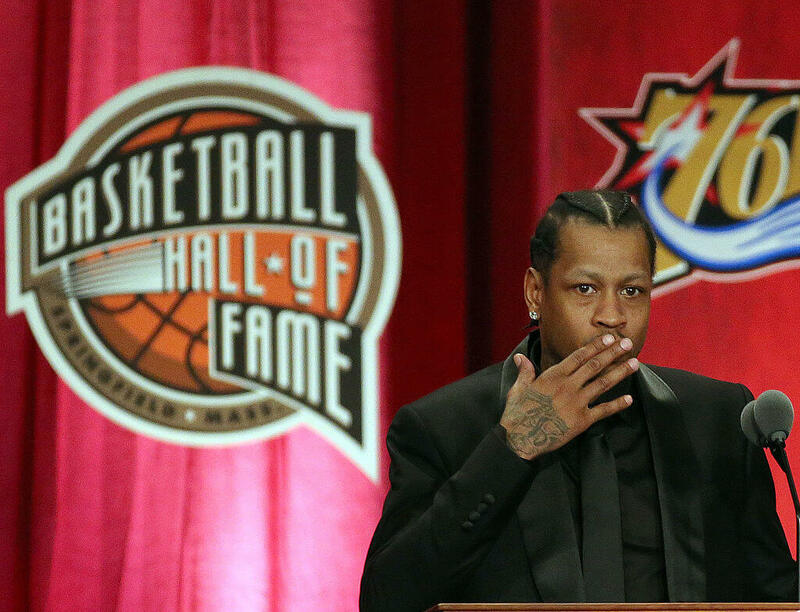 Allen Iverson was inducted into the Naismith Memorial Basketball Hall of Fame in 2016. At the ceremony, he gave a 32- minute speech. By the end of it, there wasn’t a dry eye in the house. Things might have been rough between Allen and Tawanna Iverson in 2013, but the relationship has gotten better since. At his Hall of Fame induction, the NBA legend even proclaimed his love for her. He said, “24 years, ups, downs, but real love. I can’t thank you enough for all you’ve done for me. 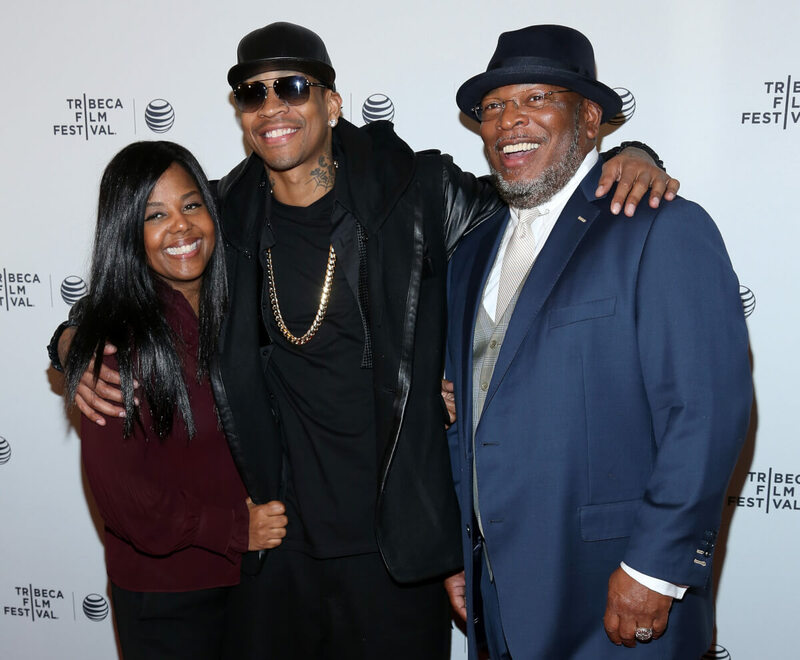 I love you so much.” Iverson also said he can’t wait to spend the next two decades with Tawanna, proof they are very much still in love. 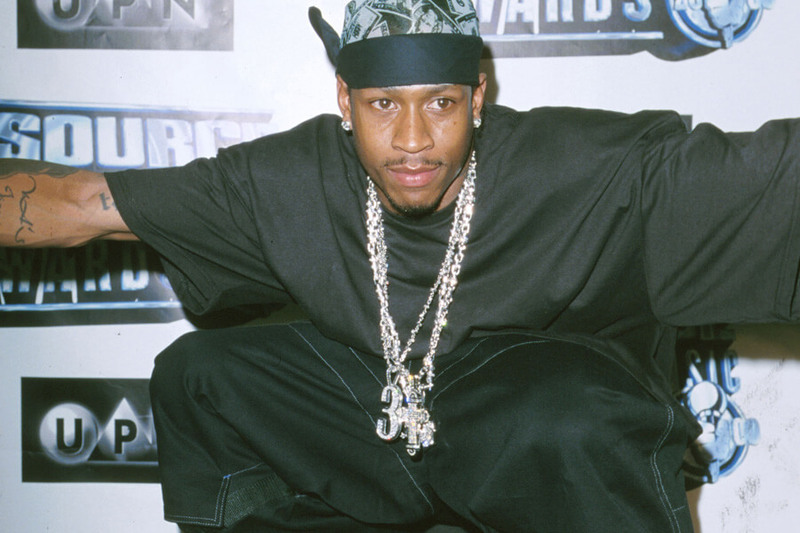 During his NBA days, Allen Iverson tried to use his fame to launch a rap career. He recorded an album under the moniker Jewelz and released a track titled “40 Bars.” NBA Commissioner David Stern did not approve. Stern spoke very strongly about the song, “The lyrics that have been attributed to Allen Iverson’s soon to be released rap CD are coarse, offensive and antisocial.” Iverson changed the lyrics of the song, but his album, and rap career, never saw the light of day. Dealing with bursitis in his arm one season, Iverson began wearing a shooting sleeve. The first game with it on he scored 51 points. He never took it off. Soon after, the rest of the league took notice. Today it’s impossible to watch an NBA game and not see a player wearing a shooting sleeve. Although intended to help relieve stress on the arm, the medical equipment is now one of the league’s top fashion trends. 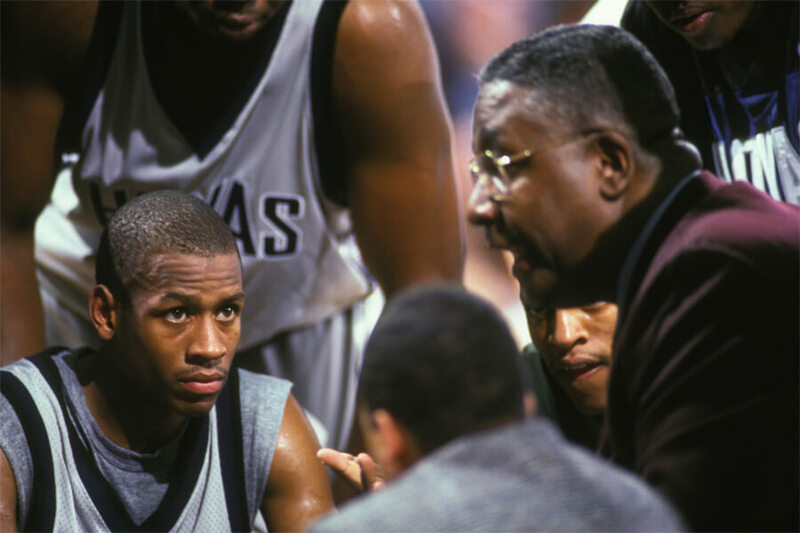 Before Allen Iverson left Georgetown two years into his scholarship, no player under head coach John Thompson had ever declared for the draft early. It made sense why Iverson left the school. He had proved everything he needed to already. He left the school with a average of 22.9 points per game, making him Georgetown’s all-time leader in scoring average. To earn the record, he had to overtake the averages of other greats, including Patrick Ewing and Roy Hibbert. Allen Iverson retiring with 42 career dunks probably doesn’t sound like a lot until you remember he is only six feet tall. Iverson made his living driving into the paint and scoring, and every now and then would dazzle the crowd with a dunk. He was truly one of the most exciting players to ever wear a jersey. And despite all his irresponsible behavior off the court, he was, and still is, one the NBA’s most popular players. We all remember Allen Iverson as one of the greatest shooters the NBA has ever seen, but he was also pretty good at passing. He retired with 6.2 assist per game average. That, along with his 26.7 points per game average puts him in rarefied air. There have only ever been three NBA players to average 26 points per game and six assists. Along with Iverson, there was Jerry West and LeBron James. Not too shabby! 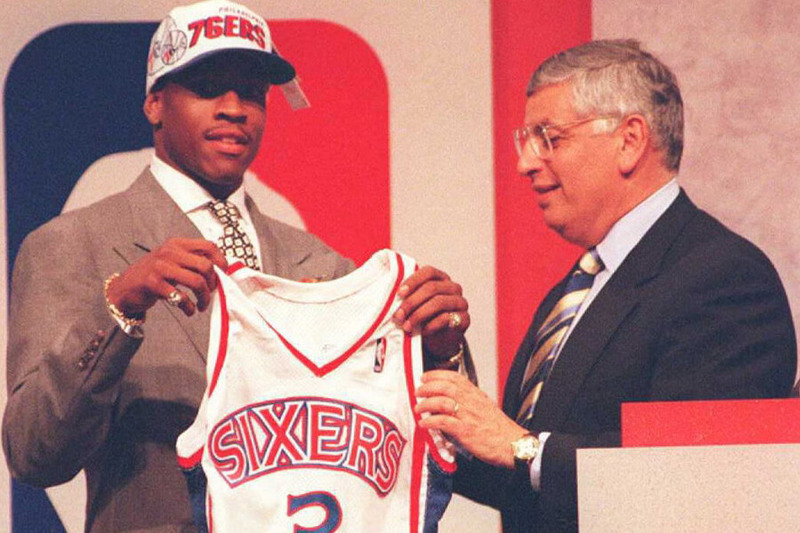 At six feet tall, Allen Iverson is the shortest number one overall pick ever taken in NBA history. He might have been small in stature, but he played big. In his rookie season, he averaged 23.5 points per game and 7.5 assists per game. One of his rookie campaign highlights was when he scored 40 points in three straight games. One of those games was a 50-point clobbering of the Cleveland Cavaliers. At the time, he was the second youngest player to do this. Allen Iverson retired from the NBA after 14 seasons. In that time he never won a championship ring, but he did accomplish just about everything else he could. His career peak came in 2001, when he named MVP of the NBA and made it to the Finals. 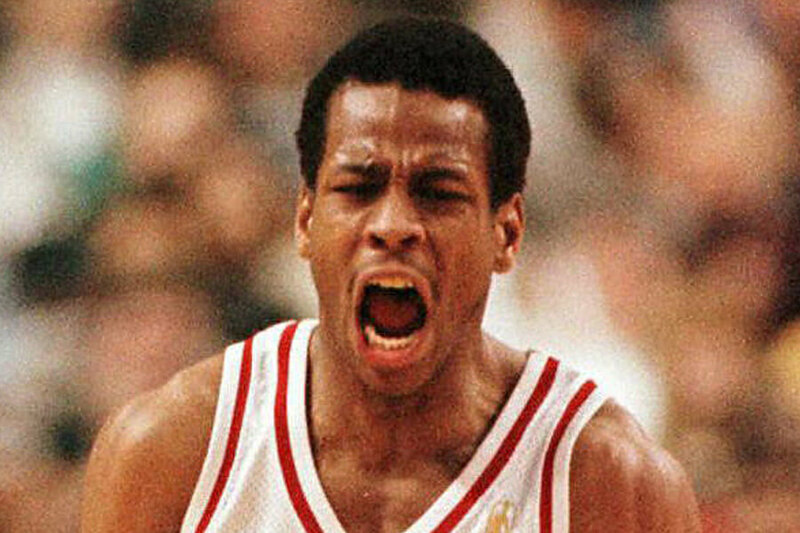 He was also named an all-star 11 times, won four scoring titles, led the league in steals three consecutive years, and was named to the NBA First Team three times. The Philadelphia 76ers and Allen Iverson may have only made the NBA Finals once, but they made it to the playoffs more times than we count. Over the course of 71 playoff games, Iverson averaged 29.7 points per games. The postseason per game average makes him second all-time. The highest average points per game scorer in NBA history shouldn’t surprise you. It’s Michael Jordan, the player who most fans consider to be the greatest of all time. 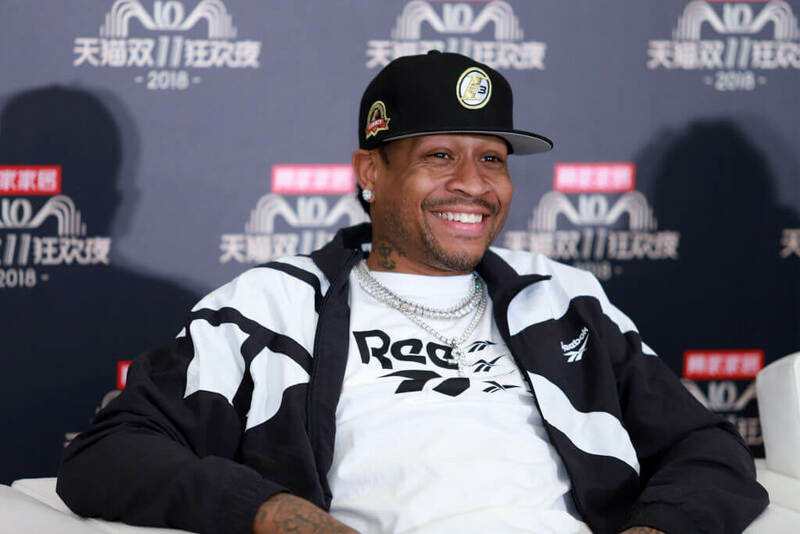 Bringing the hip-hop fashion style of baggy clothes and tattoos to the NBA did a lot of negative things for Iverson’s reputation. The fashion, which was associated with a lavish and sometimes criminal lifestyle, pigeonholed the player with his critics. 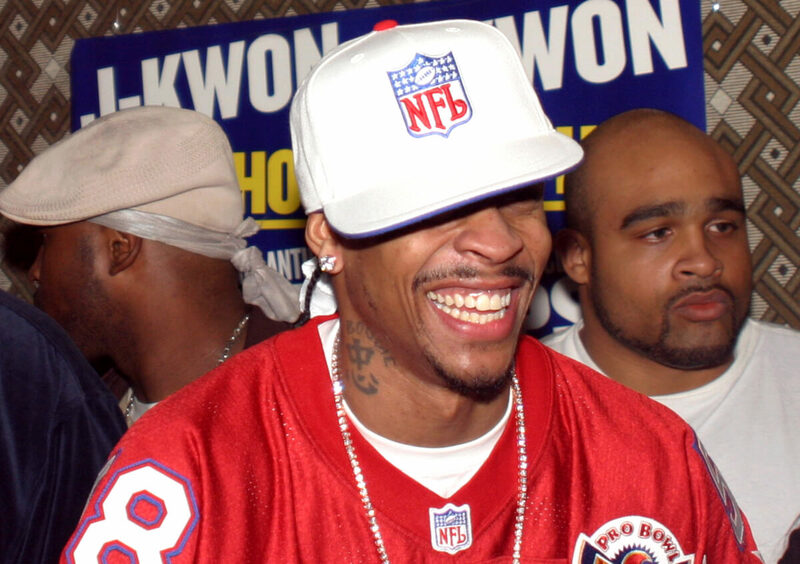 During his football days in high school, Allen Iverson played quarterback. As you know, he led his team to the state championships, meaning he must have been pretty good. Of course, there is no reason now to think Iverson chose the wrong sport. Playing basketball turned this young boy from a broken family into a multi-millionaire raising five kids with a woman he loves. He faced several downs; more downs than ups, but has overcome a lot in his life to earn the love and respect of his peers. If it’s one thing we know about the legendary Iverson it’s that he was one of the first NBA players to openly and proudly sport all the tattoos. That was just his thing. It added to his legend. Do you remember the name, Jesus Shuttlesworth? That’s the character Ray Allen played in Spike Lee’s He Got Game, the man every basketball lover wanted to be after its release. Well, at one point, that part wasn’t going to be played by Allen. That’s right, Lee originally asked Iverson to play that part. However, Iverson turned down Lee, leaving the part wide open for Allen. Who knows what would have happened if Iverson did the movie instead. 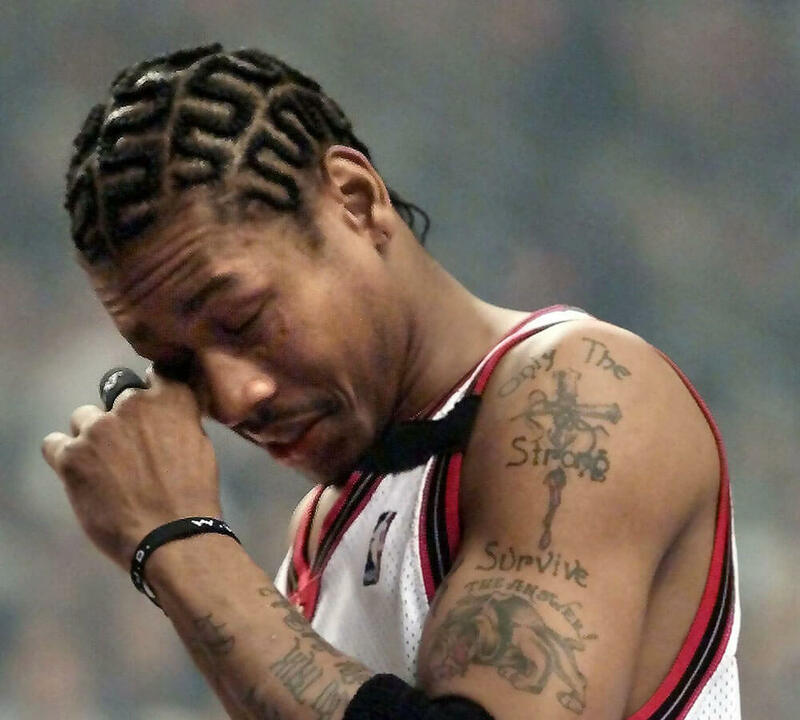 We all know Iverson was not shy about speaking his mind or wearing his emotions on his sleeve. That was no different with how he treated the referees. He earned a technical one game for doing something quite interesting. It was during a playoff game and Iverson had got into it with referee Bennet Salvator. That’s when Iverson encouraged the crowd to chant [expletive]hole. It was a universal bad call so the chant was somewhat justified. That’s when he hit him with a technical. Piggybacking off of the last slide, Iverson likes to express himself. Imagine what he’s like at the family gathering after a few drinks are in his system? Well, he brought that same attitude with him to casinos in Detroit where he was banned for boorish behavior. He reportedly was “throwing his chips and cards at the dealers,” according to the Detroit News. He also got banned from Bally’s in Atlantic City for using the restroom in a trash can. When Allen Iverson’s college was all said and done, he had finished with a pretty special accolade. He spent only two seasons at Georgetown, but that was all it took for him to become the Hoya’s all-time leader in scoring. After finishing his collegiate career at the Elite 8, he had an average of 22.9 points per game. You have to remember that Patrick Ewing, Alonzo Mourning, and Jeff Green all attended this university as well. 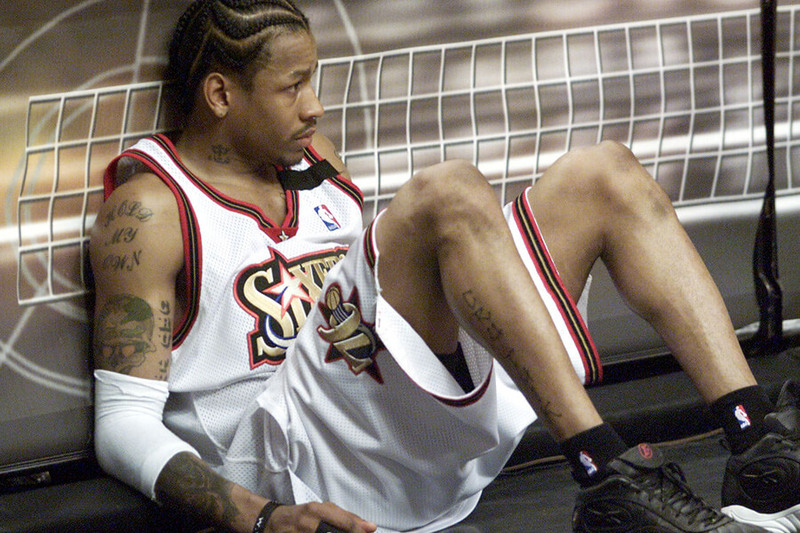 In 2005, a member of Iverson’s crew got into some trouble while in Washington D.C. They were in the VIP section at the nightclub when decided they wanted the entire section to themselves. There were already a few people in there and that’s when the bodyguard went over to approach them. After the man refused to leave, Kane the bodyguard beat the man down and he even used a glass bottle. 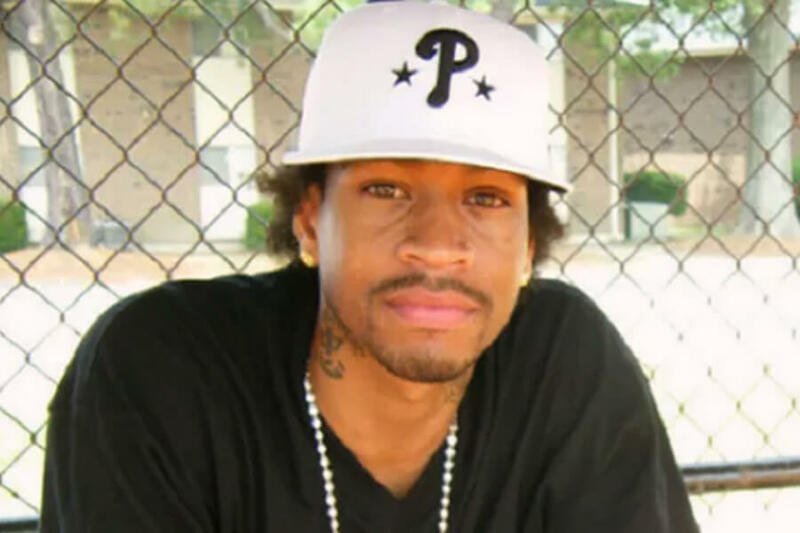 The man was beat almost to death and sued Iverson for $20 million, but the jury only granted the man $10,000 and another $250,000 for pain and suffering. Before you get upset at Iverson, you have to know that Nelly was an amazing athlete growing up. The Cardinals even invited him to spring training camp once time. Still, that doesn’t even add up to him defeating Iverson in HORSE. 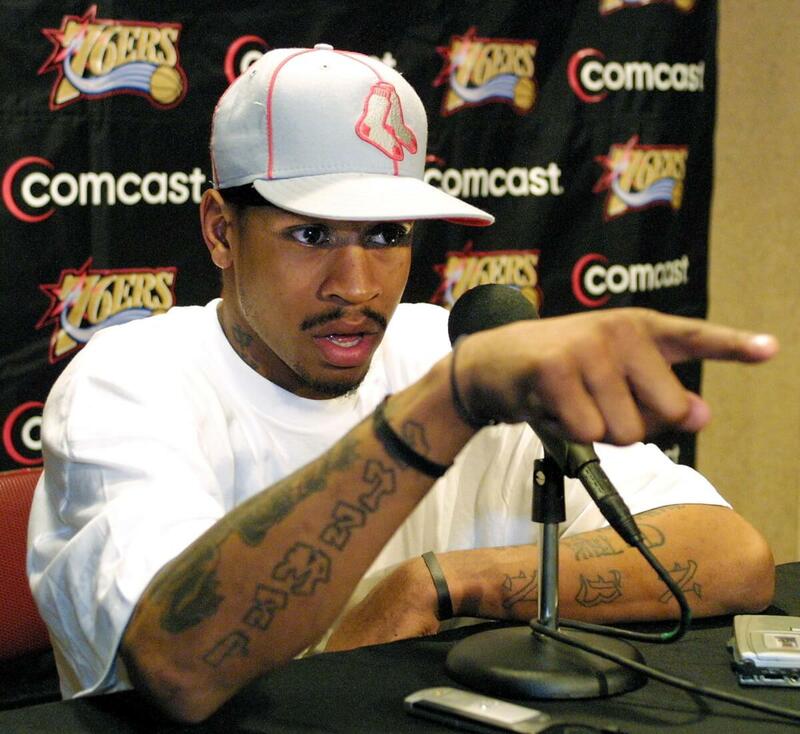 In 206, Iverson brought up the time he lost to Nelly saying, Me and Nelly played H.O.R.S.E. He’s a friend of mine. 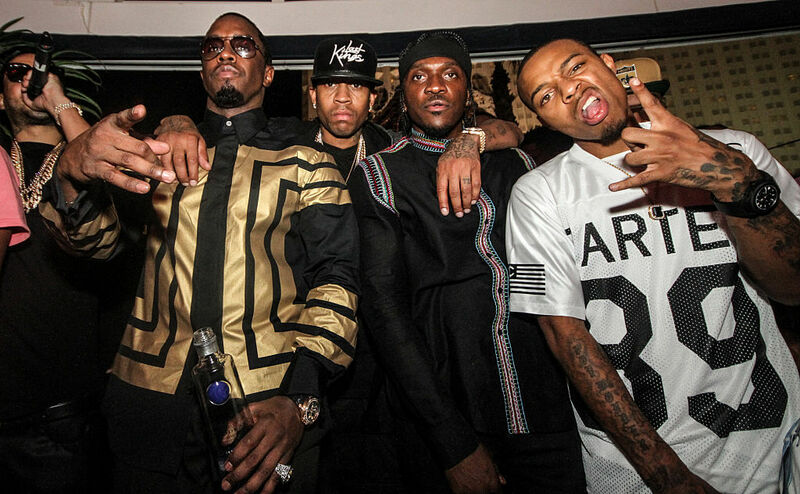 I remember one night we went to Jermaine Dupri’s studio and I had been drinking before I got there. We went into the gym and he beat my [expletive]. The real anger didn’t come from the question, Iverson later revealed. He said he was so mad because the front office told him the press conference was going to be about a trade rumor and not, practice. 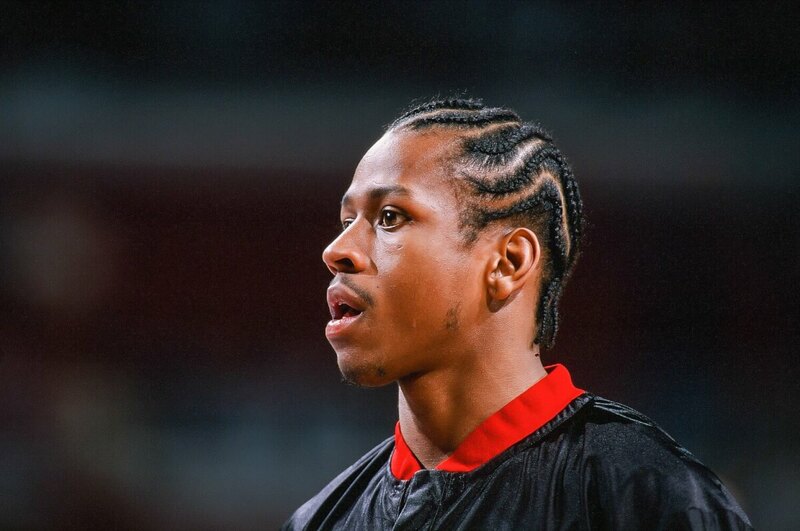 As you’ve read this Iverson story, you’ve picked up that his childhood was far from normal. He had to go through so much to get to where he’s at and if weren’t for the help of others, we might not know who Iverson is. On Dec. 6, 2018, The Players Tribune released an article about Allen Iverson titled Allen. The Players Tribune has a reputation to tell stories how it is, and not leave out anything. Meaning, there is no filter. In the article, Iverson says, “I’m not out here trying to write about Ty Lue, you know what I’m saying? I’m not out here trying to write about practice. I’m tired of these same old topics. Nah, man — to be honest?? I just want to write this as a regular person.” Prepare to see another side of Iverson if you read it.